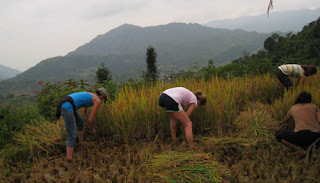 Travel to Sapa to take a short walk around Ta Phin and Muong Hoa Valleys to enjoy the most beautiful scenery of a fresh nature, meeting local tribal peoples or sitting down with a cup of coffee over viewing the romantic scene of the town at sunset…All are included in this only two days trip and you’ll never forget Sapa. Please, be ready at your hotel lobby at 20.30 for a short transfer to Hanoi railways station. 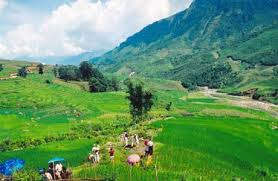 Tonight you will travel to Lao Cai on sleeping train in the most comfortable 4 berths cabin. Evening is set free at your leisure. You may have dinner at the fine restaurant or your guide may help you to book a table in a chosen restaurant in town. Today you will spend the whole day exploring the spectacular Muong Hoa. Your car will take you along the only road built on the side of a mountain range, looking down the valley, over viewing magnificent landscapes composed of high mountains, deep valleys, and stream of water winding, waterfalls and terraced rice paddies…Many time, leaving the main road, you will enjoy short walk to tribal villages such as Ta Van of the Zay, Su Pan of the Black H’mong, Ban Ho of the Tay… meeting locals at home and at works. 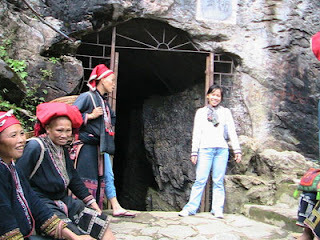 Leaving Ban Ho in afternoon, your car takes you back to Sapa, freshen up and then transfer down hill to Lao Cai station for taking the overnight train to Hanoi which arrives in Hanoi early at 05.30 to 06.00 next morning. You will arrive in Hanoi around 05.00am. Tours finishes. You will take a taxi back your hotel on your own.